There are a lot of great marine dealers in Eastern Ontario...most will give you a fair trade of your current boat. Why not know that value before hand? 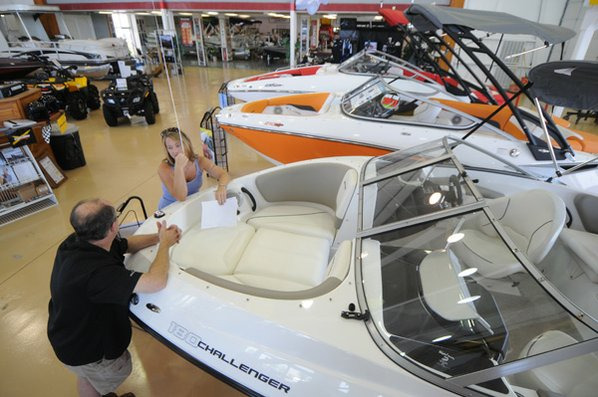 Boat Trade-in Evaluation | Know Before You Shop! You're looking to buy a new or used boat, but you currently own a boat that you don't need anymore. You are looking to maximize your value, reduce your work, and not get taken advantage of. Maybe you don't even know where to start. Does this sound like you? We want to help! There is no obligation at all, whether you are going to buy your new or used boat at Len's Cove or any other dealer, this will be valuable information for you. This will even help if you decide to sell it privately to someone else! Fill out the form on the right and get a FREE, no obligation trade-in value! One of our boating coaches will send it to you, along with an offer for advice should you need it. No pressure, no hassle, no pushing. What have you got to lose other than a few dollars for not doing it? © 2014 Lens Cove All right reserved.